In 2018, many commentators pronounced the rules-based global order to be out for the count. This presents serious challenges for a country such as Australia, which has been an active contributor and clear beneficiary of that order. The government that we elect in 2019’s federal election will be faced with difficult strategic policy choices unlike any we’ve confronted in the past 50 years. This volume contains 30 short essays that cover a vast range of subjects, from the big geostrategic challenges of our times, through to defence strategy; border, cyber and human security; and key emergent technologies. The essays provide busy policymakers with policy recommendations to navigate this new world, including proposals that ‘break the rules’ of traditional policy settings. Each of the essays is easily readable in one sitting—but their insightful and ambitious policy recommendations may take a little longer to digest. Previous Agenda for change publications are also available here: 2016 and 2013. Marcus is a Senior Analyst focusing on Defence economics and military capability. Peter Jennings is the executive director of the Australian Strategic Policy Institute (ASPI) a position he has held since May 2012. 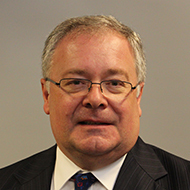 Michael joined ASPI in February 2018 as the Director of the Defence & Strategy program. Michael has worked in policy, intelligence and project delivery in Defence. Dr Huong Le Thu is a senior analyst at ASPI, Defence and Strategy Program. 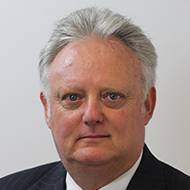 Dr. Malcolm Davis joined ASPI as a Senior Analyst in Defence Strategy and Capability in January 2016. Dr Rod Lyon is a Senior Fellow - International Strategy. Rod was most recently a Senior Analyst with ASPI. Brendan Nicholson began his journalistic career with a cadetship at The Timaru Herald, New Zealand, in April 1969. Danielle is the Deputy Head of ASPI’s International Cyber Policy Centre. Tom Uren is a Senior Analyst in ASPI’s International Cyber Policy Centre. 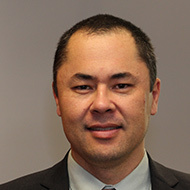 Dr Paul Barnes is the Head of the Risk and Resilience Program. Fergus Hanson is the Head of the International Cyber Policy Centre. He is the author of Internet Wars and has published widely on a range of cyber and foreign policy topics.